Andy Lau and his 24 years Malaysian girlfriend Carol Chu is the current hit news. Some suspected that they have a son and daughter. 華仔的長女叫劉雲楓約11歲，兒子則叫劉雲祖則約9歲. Not sure whether it’s real or not. So are they going to married within 100 days of Carol Chu’s father’s death? I was told that Carol Chu was actually stay nearby my area?? 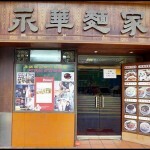 Apa la… So many years I also never get to know this. If not sure can see Andy Lau in person. Haha. 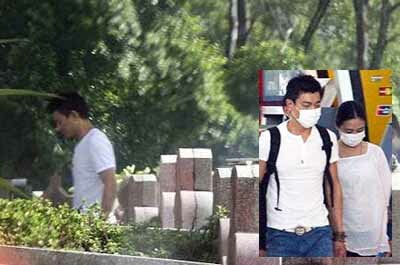 HONG KONG superstar Andy Lau was finally seen paying his last respects to his girlfriend Carol Chu’s father. Chinese dailies said Lau was seen at a memorial ceremony in front of the elder Chu’s grave at the Hokkien Cemetery in Kuala Lumpur on Monday. This time, he was without any “shield” or sunglasses. However, there were three security men at the entrance of the cemetery. It was reported in major Chinese dailies that Lau was wearing a white T-shirt and a pair of jeans although Guang Ming Daily had managed to take exclusive pictures of Lau at the cemetary. The photographs were however taken from afar and were grainy and all of them only showed the side of his face and body. The dailies quoted a worker at the cemetery as saying that Lau had arrived at about 9am with Chu, her five siblings and two brothers-in-law. They left 30 minutes later after a simple ceremony. During the funeral, a man believed to be Lau was hidden from view by an umbrella-carrying brigade. Spotted: Superstar Andy Lau and Malaysian girlfriend Carol Chu arriving at the KL International Airport (inset) to catch a flight to Hong Kong Tuesday, after attending the funeral of Chu’s father. On Monday, Lau was seen at the Hokkien cemetery in Kuala Lumpur for the seventh-day memorial service. Finally Andy Lau hold Carol Chu hands and let the paparazzi snap their photo. Now both of them are in Hong Kong. Ending decades of denials, Hong Kong pop star Andy Lau finally went public with his Malaysian partner Carol Chu on Tuesday. The couple, who have reportedly been together for 24 years, firmly held hands as they touched down in Hong Kong and made their way to an airport lounge past a media scrum. The pair were in Malaysia last weekend for Chu’s father’s funeral. A teenage boy and girl, long rumoured to be the couple’s children, were nowhere to be seen. Lau, who turns 48 next month, has kept coyly mum about his love life for decades to maintain his image of a single and available pop star. He is said to have met Chu, a part-time model who had won a local beauty title, while he was on vacation in Malaysia with close friends in 1985. SPECULATION is rife that former beauty queen Carol Chu, the long-term partner of Hong Kong superstar Andy Lau, could be pregnant. All the local Chinese dailies reported that pictures taken at the airport in Hong Kong showing the bloated stomach of Chu could be an indication of her pregnancy. China Press reported that Chu was seen shielding her stomach throughout while holding hands with Lau after arriving at the airport in Hong Kong. 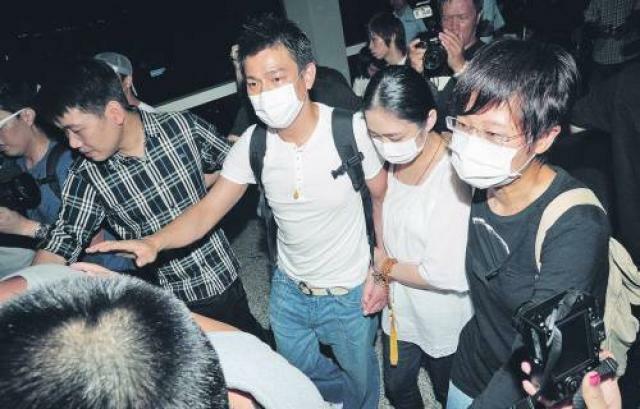 Sin Chew Daily also reported that Lau was even seen embracing and holding her by the waist at times, fearing that journalists might run into her. Meanwhile, the same paper reported that a fan by the name of Kiki had threatened to take her own life after learning about Lau’s relationship with Chu. “I am not strong enough to accept the fact. The only thing that can console me is for me to take own life so that you won’t forget me. “I hate you! Go get married! My life would be your wedding gift,” said the fan whose comment was posted on an official website. However, there were many who posted comments giving their blessings to the couple. HONG KONG superstar Andy Lau and former Malaysian beauty queen Carol Choo actually tied the knot in Las Vegas last year, major Chinese dailies reported. The official website of Clark County in Nevada which provides online search on marriage records, showed that Lau Tak Wah, Andy and Choo Lay Keng had registered their marriage on June 23, 2008. After their secret marriage was exposed by the Taiwan and Hong Kong media, Lau, 47, finally admitted in his official website on Saturday that he and Choo, 43, were married. He apologised to his fans for keeping his marriage a secret. Lau said he and Choo had decided to get married because they wanted to have children. He said he had kept it a secret to avoid his wife from being “chased after” by the media, adding that he had planned to announce the marriage when Choo becomes pregnant. 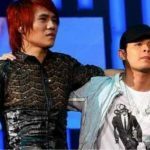 The couple who had been dating for over two decades made their first public appearance when Lau came to Malaysia to attend the funeral of Choo’s father recently. Another Hong Kong superstar who had his marriage exposed in the same manner was Leon Lai Ming, who married his model girlfriend Lai Gia in March last year. Singer Miriam Yeung Chin Wah also married his boyfriend Gary Ting Ho Lam secretly in the city of sin on Aug 11.